PP prices in Southeast Asia have been maintaining their stable to softer trend as the market continues to face pressure from insufficient downstream demand and the upcoming start-up of new capacities in several countries including Malaysia, Indonesia and Vietnam. Neither the rebound of crude oil futures nor higher spot propylene prices have had a significant impact on the region’s PP markets so far. The market sentiment also failed to gather strength after trade negotiations between China and the US concluded on a positive note. Several players commented that PP prices may not see some rest in the long-run due to the upcoming capacity additions. 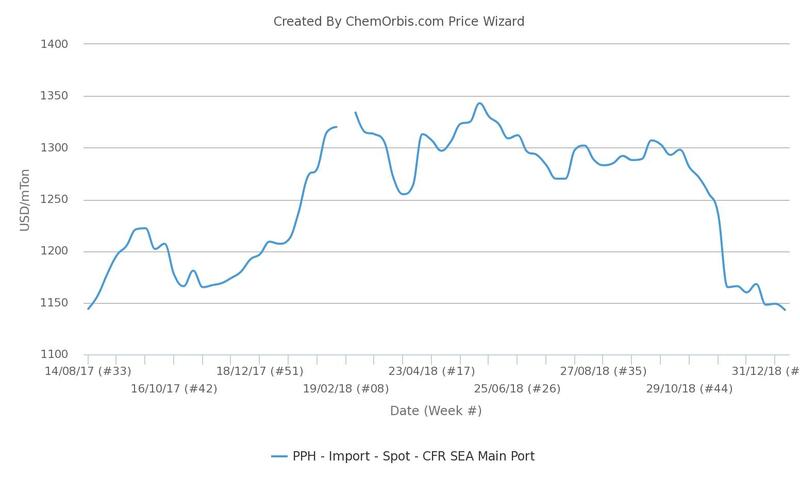 According to data from ChemOrbis Price Index, the weekly average of homo-PP prices on CFR SEA basis has recently hit its lowest level since August 2017. The market has been tracking a largely downward trend for the past three months, plunging around 12% when compared to late October. Malaysia’s state energy company Petronas and Saudi Arabia’s national oil company Saudi Aramco are on track to start commercial production at their new Refinery and Petrochemical Integrated Development (RAPID) project in Johor, Malaysia, in the second half of 2019. The project’s polymer capacities are expected to include 900,000 tons/year of PP, which will be a milestone for Malaysia as the country is likely to become a net PP exporter with a total production capacity of more than 1.5 million tons/year. South Korean producer Hyosung Corp is planning to start up a new 300,000 tons/year PP plant in Ba Ria-Vung Tau, Vietnam, by the third quarter of this year. Two producers in Indonesia are planning to raise their PP production capacities in 2019. Polytama Propindo is planning to expand the capacity of its PP unit by 60,000 tons/year in the first half of 2019 while Chandra Asri Petrochemicals’ PP capacity in Cilegon will be raised by 80,000 tons/year by the fourth quarter. In 2018, Vietnam’s Nghi Son Refinery started operations at its 400,000 tons/year PP plant while Lotte Chemical Titan’s new PP3 plant in Pasir Gudang, Malaysia was also started up. 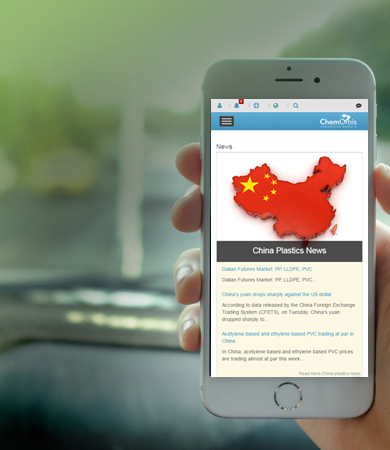 To see further details about the most updated news of new capacities as well as shutdowns and restarts around the globe at a glance, please follow ChemOrbis PP Production news .